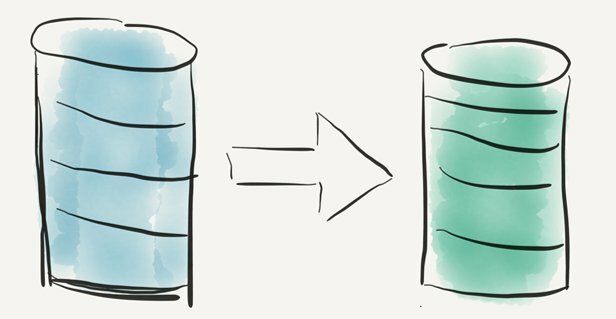 Move to the Cloud: About Google Drive. Everyone wants to store your data. Dropbox, Box, Adobe Creative Cloud, Apple iCloud drive, Microsoft OneDrive, you name it, they want to store it. Fine. One thing I won’t do here is compare and contrast different applications. I just want to encourage our staff to use a single one. 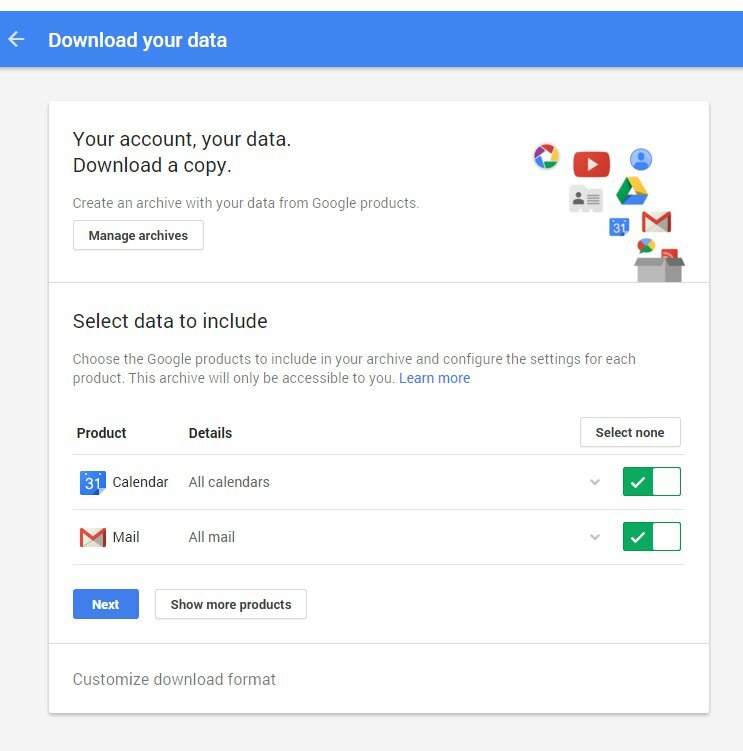 We use GMail, so once a user is logged into GMail, they are automatically logged into the company’s Google Drive when they connect to their folder, or access it from within a web browser; no separate log-in is required. Since any files stored in a user’s Google Drive folder are coupled to their company eMail account, we can ultimately control and access the files. The user can access the file on any device or from any location. The user can easily share files with other users, which facilitates collaboration irrespective of time, location or device. We can create a shared folder hierarchy that mimics our network file server folder structure. If users have a mapped drive letter on the old system, you can create a similar mapping for the Google Drive. For example, our “traditional” setup allocates Drive F: to the users home folder, and Drive U: to our “main” folder which contains all of the subfolders used throughout by the team. Since we’re not a high-security outfit in terms of the data we’re working with, we acknowledge the preference for convenience and accessibility over the kind of rigorous control and security available when managing user files on a traditional network server. You can easily drag and drop files to your Google Drive by accessing the drive from within a web browser. However, there is also a small program that installs a Google Drive folder directly on your workstation. Download the Google Drive application, and run it to begin the installation. Once the application is run, Google Drive appears as a folder in your normal Windows Explorer folder hierarchy. Google has a help center for Google Drive that describes most of the issues related to Google Drive. This entry was posted in IT Management and tagged Network on February 25, 2016 by lkeyes70. When an employee leaves your company you may need to archive. 3. Follow the wizard. 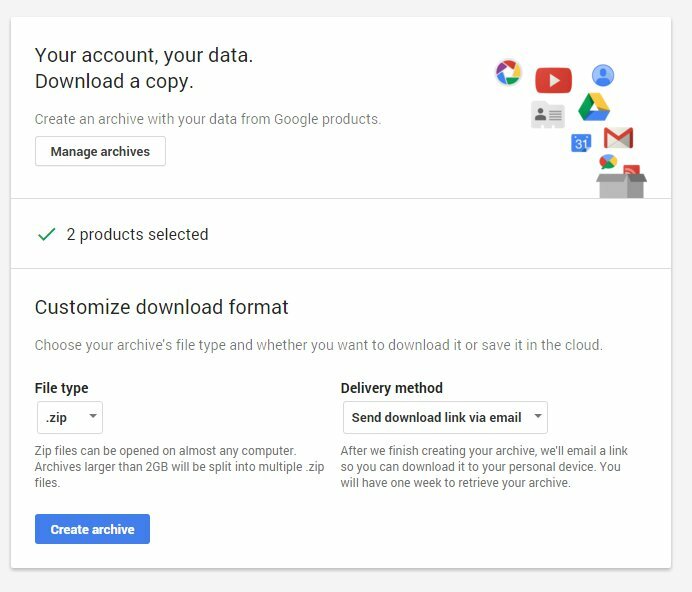 You can choose to make an archive just of your eMail and calendar, or you can select information from other services such as Google Drive. 5. Click on Next again This starts the archive process. 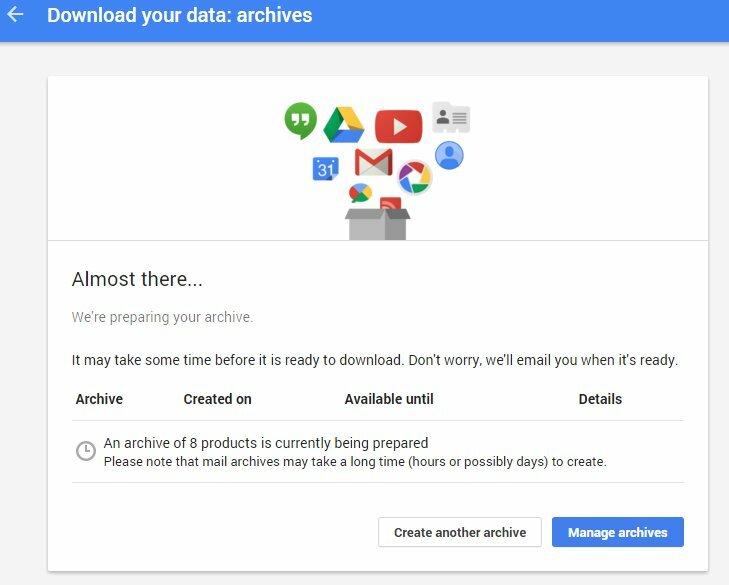 You can access the archive after it created by clicking on the link that Google sends to your eMail account. This entry was posted in IT Management and tagged Backup, Batch, Mailing, Networking on December 21, 2015 by lkeyes70. This brings up the crontab file for the root user. Crontab is probably for another day, but basically the script shows a MAILTO address that I wanted to change. Running the crontab-e opens up the file in the default editor. Well, I didn’t even realize I had a default editor on this machine, and the file opened in vim, which is an archaic program, beloved by Unix freaks. I prefer the nano editor, especially because I don’t use a text editor much, and I know how nano works. This will bring up a list of editors from which you can choose your favorite. This entry was posted in Hardware, IT Management and tagged Backup, Batch, Hardware, http://schemas.google.com/blogger/2008/kind#post, Networking, Shell on September 29, 2015 by lkeyes70. I am currently working on a project which involves a Shopify online web store, and the Brightpearl Inventory and CRM system. Both of these cloud-based systems have an Application Programmer’s Interface, (API) which provide a programmatic way to query and manipulate the data that has been entered via the normal web interface. They use these APIs to talk to each other and make them available to programmers who want to create custom functionality or plugins for the systems. Communication with these APIs can be done using a REST compatible client written in PHP, Python, Ruby on Rails, or a host of 3rd-generation languages like C# and Visual Basic. REST stands for Representational State Transfer. This is the most recent flavor of network programming, similar to SOAP, XML, and XML-RPC, and even good old remote procedure calls. I’m looking into a way to extract data from the Brightpearl inventory system; I want to query for each day’s purchases and extract the order number, customer name and shipping information. I want to take this information and format it as an .DBF file for use by the UPS WorldShip program. Note that in this example, I’m interested in being a client of an existing web service, and, for the moment I really just need to query the service for existing data, I don’t need to add or delete records on the server. To start this odyssey, I’m using my Windows workstation. I’m thinking eventually if I need to have a web server for testing (to run PHP or RAILS for example), that I’ll spin that up as a virtual machine using VirtualBox on Windows with Ubuntu Server as my guest OS with a mySQL backend. The Brighpearl documentation suggests several tools that can be used to send requests to the API. Perverse as it sounds. I found it was helpful to install no less than three add-ons for FoxFire and Chrome to send the API requests, which enabled learning the mechanics of the process a little easier. Each of these three add-ons allow you to send requests to a web server. Each is slightly different. The Chrome add-on includes a parser for JSON data, which is really helpful when you are working with JSON…which is the case with Brightpearl. Brightpearl also suggests a book from O’Reilly called RESTful Web Services by Leonard Richardson and Sam Ruby. The book was published in 2007, so although it has some useful information, it is somewhat dated. There is nothing about oAuth in it for example. To get started with the Brightpearl API, you have to make sure that your user account is authorized to work with the API. This is done by accessing the “Staff” under Setup, and making sure that there is a green checkmark next to the user’s name in the API access column. Note that the double quotes enclosing the eMail address and password are also present. If the request is successful, you’ll receive a hexedicimal number back which is your authorization token. Once you have the authorization token, it is used in subsequent requests as a substitute for your user name and password. The token expires after about 30 minutes of inactivity…so you’ll have to issue another authorization request and obtain a new token after that time. Once you have gotten the authorization token, you can start making requests. The basic request is a “resource search” which is a query of the Brightpearl data. Resource searches are issued with GET requests, and must include the API version number. The authorization code is sent as a header along with the request. As a reminder, the authorization request is a POST, and the resource query is a GET. (More on resource searches in Brightpearl). This request returns a list of the current goods-out notes (Brightpearl’s nomenclature for a packing slip or pick-list). The folllowing GET request shows the current orders. This returns a list of current orders, in JSON format. The format shows the structure of the data first, and then the actual records. Note that there are only three orders! This entry was posted in IT Management, Tech_Friday and tagged eCommerce, Linux, mySQL, REST, Shopify, Ubuntu, Virtualbox, Web_Services, Windows, Workflow on October 1, 2014 by lkeyes70. Refurbs are for when you have more time than money. I’m not sure about the exact figure, but in many cases, I think I’ve ended up spending several hours per unit getting a refurbished computer back online after a hard drive failure, or just having to spend hours updating Windows and Office so that I’m confident getting the machine on the network. We got several “really good deals” from NewEgg, for refurbished Lenovo desktop computers at $214.00. These appeared to be of “office quality”, included Windows 7 Pro, and were nicely finished. Unfortunately, we have had 2/3 of the Western Digital Blue hard drives start to fail at some point. This has created no end of extra heartache for the users and an enormous amount of work for the IT staff. NewEgg has been fine on returns, however, providing UPS shipping labels, and RMA procedures over the web. OK….so much for NewEgg. We’re looking at alternatives. (we have more time than money). One advantage here is that if you need licenses for Windows 7 and Office, they are included in the price. You would spend the $286.00 on those if you bought at retail, and maybe quite a lot less if you have a Microsoft Open, agreement. But, it like getting the hardware free. The Dell Outlet looks promising with several machines in the $315-$390 range which still include Windows 7 as opposed to Windows 8, and have at least 500Gb drives, and 4 Gigs of RAM. These have more up-to-date processors than the Techsoup machines, and are certainly not as old. Most Dell Outlet machines were either not delivered, or were taken back within the warrenty period. I’ve had solid results with Dell Outlet computers at the workstation and server level; mixed results with standard desktop machines, and a real disaster with older SX-series Optiplexes. The best seem to be the larger ones; towers or mini-towers. Smaller machines, “mini-desktops” may have suffer from the suboptimal cooling, and the older components may have reached their design end-of-life earlier than those installed in a larger case. One thing we have often found is that dual monitors are wonderful, and this is something that I would recommend for anyone as a matter of course. If you need an extra monitor card, these can be found from NewEgg starting at around $35.00. Best to wait until you have received the machine, because there can be variations in the slots, and the available adapter space that aren’t evident from the web page. On the Mac side, I’ve purchased several Macbooks, iPods, iPads, from the Apple Store. These have always worked flawlessly. The Refurb store has a 21.5 inch iMac for $1099, which is the model from September 2013. The cost is only $200 or so less that of a new, similar iMac. It includes 8 gigs of RAM, and 1 terabyte hard drive, and of course the Mavrick OS, and iWork. If you’ve got more money than time, and just want to get to work, this might be the way to go. This entry was posted in Hardware, IT Management and tagged Apple, Hardware, Mac, Windows on June 12, 2014 by lkeyes70.